The green north coast of the Iberian peninsula makes the perfect setting for a cycling holiday. 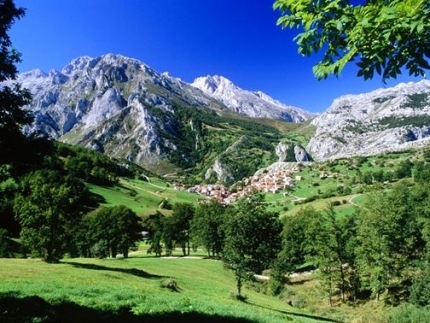 Over hills, or more mountainous terrain if you choose, you'll cycle along the coastal ranges of El Cuera and El Sueve, beneath the impressive snowy peaks of the Picos de Europa. Following sections of the Pilgrims' Route to Santiago de Compostela (Saint James' Way), you'll visit ruins and Romanesque chapels. After a stop in the cider-making capital of Villaviciosa, you cycle off to the friendly city of Gijon for a tapas feast to celebrate the end of your journey. Highlights of this trip include some of the most pleasant cycling through the gorgeous landscapes, enjoying views to both the mountains and the sea. You do have a choice of different routes on some days, making shorter or more challenging. The gastronomy, wines and ciders of this region, are now becoming world renown, and now you will know why.